“Left turns are bad!” That is the foundation of the “Superstreet” concept which the North Carolina Department of Transportation (NCDOT) has recommended for Cornelius between Jetton Road and Sam Furr Road. With a Superstreet design, instead of waiting for oncoming traffic to clear to make a left, or using a traditional traffic signals, all vehicles are re-routed to dedicated left lanes. These vehicles then make U-turns at a designated distance and circle back to reach a planned destination. I am convinced that it is not a street that makes a town or a region super. But rather, it is the people and the businesses who bring life and passion to that community that make it so. For over 10 years, town staff, elected officials, citizens, and local business leaders have examined transportation plans for West Catawba Avenue. The Superstreet design was first suggested to the town by NCDOT when the first part of this road was widened in 2005. At that time, Cornelius town officials and the Lake Norman Chamber of Commerce lobbied NCDOT for a hybrid version of the Superstreet design. We insisted on adding traditional intersections with left hand turns to foster economic and business vitality. Over the recommendations of NCDOT, more left turn lanes were also added (five in total). During the last few months, the town has encouraged the businesses and residents of our community to weigh in on the most recent Superstreet recommendation by the NCDOT. Planning sessions have examined drawings and computer simulations showing how the Superstreet concept would work. There seems to be no doubt that the recommended Superstreet design can move greater volumes of traffic more efficiently, safely, and quickly through Cornelius. That said, I am not convinced this traffic pattern is in the best interest of our community. Recently Commissioner Jim Duke pointed out that the Superstreet design does not fit the character of Cornelius. Others have suggested that the section of West Catawba Avenue, from Jetton Road to Sam Furr Road, does not yet have a distinct character. It is important to consider that what exists today is not what will be there tomorrow. Business and residential development continues to evolve and there is so much potential for the future. While Hwy 115 serves as a main street for Cornelius and Davidson, West Catawba Avenue is “Main Street Lake Norman.” It is the main artery pulsating through the heart of the Lake Norman region. Just as Cornelius town and business leaders fought for the consensus and compromise a decade ago to protect the economic vitality of West Catawba Avenue during its initial expansion, it is imperative for the future of Cornelius and the Lake Norman region that we do so again today. You cannot load character into a computer simulation. It cannot be drawn into a blueprint, nor does it show up in traffic counts. But you can see it in the faces and feel it in the hearts of the people who live and work here. It’s what makes our lake towns more than super and the reason we call Lake Norman home. Each year the Lake Norman Chamber of Commerce hosts an exhibitors orientation for our local businesses participating in the Lake Norman Business Expo. It is usually held a few weeks before the show to review the 25 or so Most Frequently Asked Questions. This year marked our 15th business trade show and over the years of attending ours, as well as other regional shows in Charlotte, Cabarrus, and Mooresville I have see some quite interesting booths. Here are some tips I have compiled for our local exhibitors as they look to get the most out of their trade show experience. First, always get the right look for your booth. Each year we present awards for the Most Professional, Most Creative, and Best of Show. We’ve had hotels bring out furniture to create the bedroom feel. While certainly creative, it was also a lot of work moving furniture around and with an 8’ x 10” space you are limited. Remember, those with electricity only have 5 amps of power at the Lake Norman Expo… so NO POPCORN POPPERS. But if you have electrical power, you can give video demonstrations on your laptops or tablets. Attendees are drawn to colorful booths. Pop up displays as a backdrop, banners and signage are important. Make sure you have flyers, pamphlets, and reading material about your business to give away. Perhaps the most important thing is staff your booth with people who are trained and experienced to answer questions and address the public. Too often I see people sitting in the back of the booth, texting or talking on the phone. Make sure the people you select to work your booth are invested in the success of your business. Always have someone in the booth and never leave the booth unmanned. It’s always good to have multiple people in the booth so someone can walk around to the other booths and then come back and relieve their partner. Be different – do something that draws people in – dress in a costume, have a model, celebrity, magician, or mascot in costume they draws people’s attention. Some host games with prizes – putting green, spinning wheel, guessing how many coins, buttons, or marbles are in a jar. 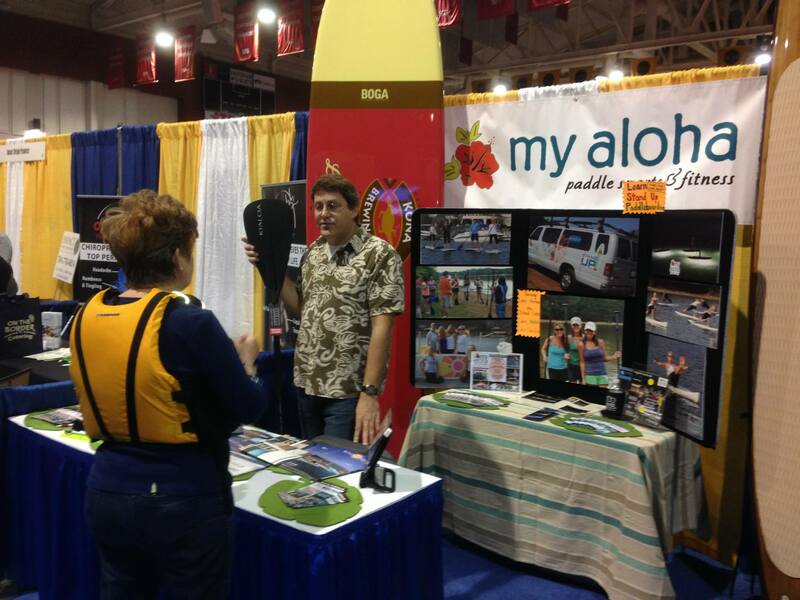 Offer Business Expo specials – give them coupons for stopping by the booth. It can be redeemed in the next 30,60, or 90 days for stopping by your booth. Some booths offer snacks, candy, water. If you do have a goody – make sure it’s properly wrapped. Hard candy and chocolates are always handy! The Chamber will extensively advertise the show through the papers, billboards, and MI-Connection. However, you should use your social media to get the word out. Use Face Book, Twitter, LinkeIn, Pinterest, and the other social media platforms to let people know about the event and your booth location along with any specials. Encourage folks to take part in the show! Giveaways: I’m always asked what’s the best give aways? One of the most unique was a few years ago The Range at Lake Norman had little flash drives in the shape of a small firearm and a local funeral home had chocolate covered caskets – very clever!!! Pens, bags, USB or thumb drives are always handy as are snack clips, notepads, post its. Remember, its all about impressions. Will the attendee use your item once or over and over again? So. Let’s sum it up – create a checklist of what to bring to the expo. Make sure you have the right people in place. They should be well trained with a consistent message about your brand and service or product. Make sure they are dressed appropriately for the event – what kind of image do you want to present? Create a booth schedule so others can help you not only man the booth but give you time to enjoy the show and meet the other exhibitors present. Make your booth stand out but be cognizant not to overdo it. You don’t want to make dozens of trip back to the car loading in and out. Keep it effective but simple. Think about giveaways and make sure you have business cards and literature to hand out about your business. All that brings me to perhaps the most critical piece – the follow up! You must have a way to capture information about those who show a genuine interest in your product or service. Have them register for a prize you can give away by dropping a business card or a card you give them Remember, the primary reason you are there is to generate leads. This should be stressed when you train your staff. Consider hand writing notes to people who stopped by your booth and seemed interested. Getting a hand written notecard says volumes and is much more effective than an email. The personal touch will go a long way to building a business or customer relationship. Keep in mind, waiting a week after the event is too late. Reach out while the event and contact is still fresh in their mind. Above all – have fun! 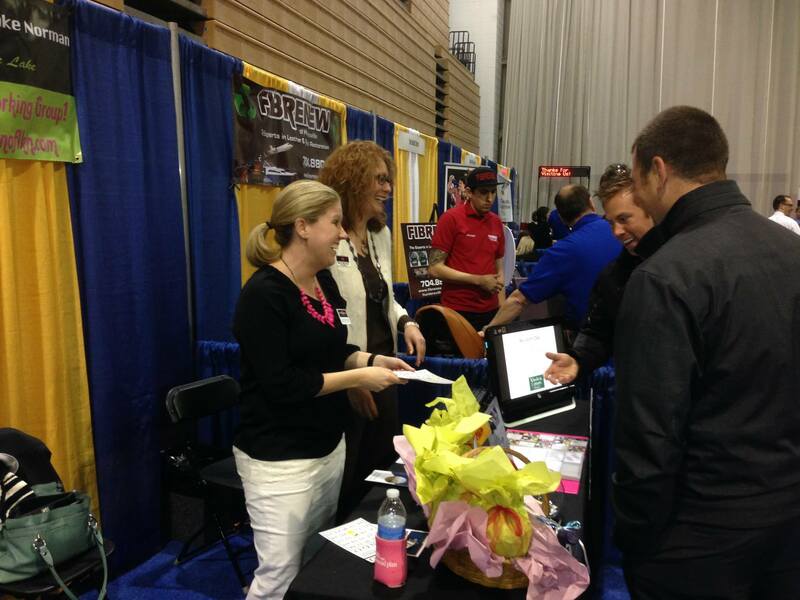 The Lake Norman Business Expo is a great place to both renew and nurture existing relations and create new ones. We’re excited to have another opportunity to showcase the Best of the Best in business at the lake. The Lake Norman Expo is our version of Show and Tell. Make this trade show – Your Show and I’ll see you at the Business Expo! The sale starts with you! While attending college, I worked at an office furniture and supply store delivering case goods and supplies in Rock Hill, SC. The store, Harper Brothers Office Supplies & Furniture, was managed at the time by one of my father’s closest friends – John Teague. John later went on to be one of the company’s vice presidents. 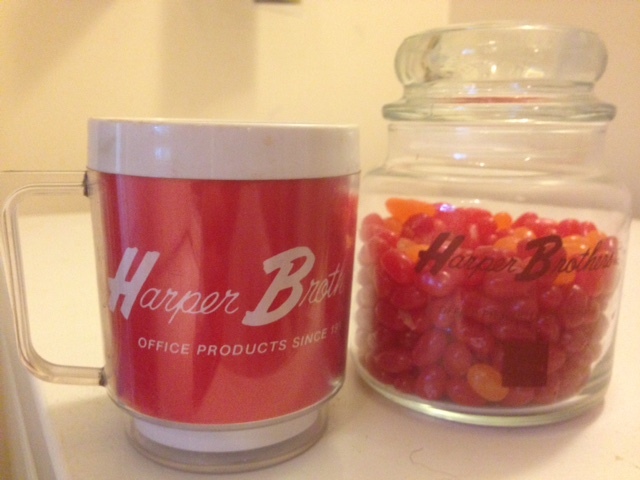 After graduation, I went to work for Harper Brothers as a marketing representative. I could cite dozens of people who have had a profound impact on my life. That said, perhaps no one person shaped who I became as a sales person more than a working mother of two with a limited resume but a ton of confidence. Shirley Lineberger is not a name you’ll find in any business books. I doubt she’s taught the first seminar or written a column. Yet, when I think of successful sales people – I think of Shirley. As an office supply company, some of the industry representatives would place incentives or “spiffs” on selling products. Sell a dozen rolls of tape, you earn an extra silver dollar. At the end of the day, those dollars really added up. I will never forget the afternoon Shirley walked back in the delivery room and split her dollars with the delivery crew. She thanked each of us for the jobs we did, taking care of her customers. A few years later, when I had moved from delivery to sales, Shirley took me under her wing and we made calls together. One particular day we planned several calls showing various lines of furniture to prospective customers. The first three of the morning were spent with little results. I remember feeling a little dejected with no orders in hand. Shirley observed my rejected look and then reminded me, “Cheer up! I normally get one great sale in every five tries. Now that we’ve got those out of the way, we’re gonna’ sell something after lunch,” … and sell we did! Shirley loved her customers. Filled with confidence and optimism, she taught a young kid to begin each day believing great things were going to happen – and they would. Love your job, take care of your people, and remember every rejection is just another step closer for you to reach your goal. Treat it as an opportunity, not a setback. It’s a lesson I learned along the way from a mother of two who understood the most important part of the sale starts with you.